Minister of Public Safety Ralph Goodale makes an announcement on cyber security on Tuesday, June 12, 2018. OTTAWA -- The federal government unveiled its plan to bolster Canada's defences against nefarious online attacks and crime Tuesday, even as it acknowledged a shortage of skilled cyber-warriors to meet the country's needs. Backstopped by more than $500 million in new funding over the next five years, Ottawa's newly released cybersecurity strategy lays out a range of initiatives to help Canadians, business and the government better protect against cyberthreats. 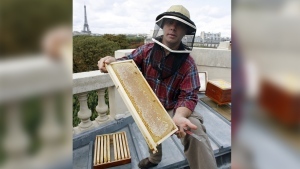 The strategy was the result of nearly two years of consultations with industry, academics and other experts, and updates the first such plan released by the Harper Conservatives in 2010. It comes as the internet and digital technology play an increasingly important role in every aspect of life, making many functions easier and leading to new economic opportunities -- but also opening the country and Canadians up to new risks. And those risks appear to be increasing: The RCMP says that police services across the country received 24,000 reports of cybercrimes in 2016, which represented a 58 per cent increase over the previous two years. There are also growing concerns about the threat posed by foreign states, terrorist groups and others who may try to target the country's electricity grids, banking services, hospitals and election systems. The new cybersecurity strategy does three things, starting with an increased emphasis on detecting, deterring and prosecuting cybercrime, Public Safety Minister Ralph Goodale told a news conference on Parliament Hill. "We must substantially strengthen Canada's cybersecurity capabilities to better protect ourselves and our systems against evolving cyberthreats," he said, "while also enlarging our capacity to combat cybercrime and prosecute offenders." To that end, the RCMP will add new cyber-investigators and become the main focal point for police across the country to report illegal activity online. It will also liaise with foreign partners to identify potential threats and crack down on criminal networks. The strategy also brings the various cybersecurity efforts underway in different federal departments under a new Canadian Centre for Cyber Security, Goodale said, which will be housed at the Communications Security Establishment and open in the fall. And it will attempt to help the private sector, especially small businesses, which officials say were the victims of 71 per cent of data breaches, better protect themselves, including through a voluntary certification program. "They comprise a huge chunk of the Canadian economy," Goodale said of small businesses. "And they are as interconnected as the rest of us to their suppliers upstream and to their customers downstream, so if they have a cyber problem, that whole network could be infected." Yet it wasn't immediately clear how the government intended to address what will be one of the biggest hurdles to successfully implementing the plan's ambitious goals: a shortage of cybersecurity specialists, both in Canada and around the world. "A shortage of cybersecurity talent makes it difficult for organization -- including the federal government -- to attract and retain the people they need to improve their cybersecurity or to disrupt cyberthreats," the new strategy reads. Goodale described the shortage as "a huge challenge and a huge opportunity," noting that the cybersecurity industry in Canada already supports an estimated 11,000 jobs and generates $1.6 billion in economic activity -- numbers the government hopes to grow. "The world will be demanding people with these talents and skills who understand cybersecurity and can deliver the goods for their employers," Goodale said, "whether they are in the private sector or the public sector." But while the most recent federal budget set aside $8 million for up to 1,000 student work placements in cybersecurity, the strategy doesn't include a dedicated focus on skills training or set aside funding to help grow the industry. "It's disappointing to see a lack of commitment to build Canada's cyber sector," said Benjamin Bergen, executive director of the Council of Canadian Innovators, which represents many of Canada's tech companies. "Cyber is the fastest growing ICT sector in the world and domestic innovators present an opportunity for our government to grow our economy and deploy world-class technology solutions for protecting Canada's digital borders." The plan was also largely silent about foreign-owned telecommunications companies such as Huawei, which intelligence chiefs in the U.S. have identified as a national security risk, and made no mention of encrypting personal communications. The latter has been a contentious issue between privacy advocates and law enforcement, who have argued that such encryption poses a barrier to investigations. 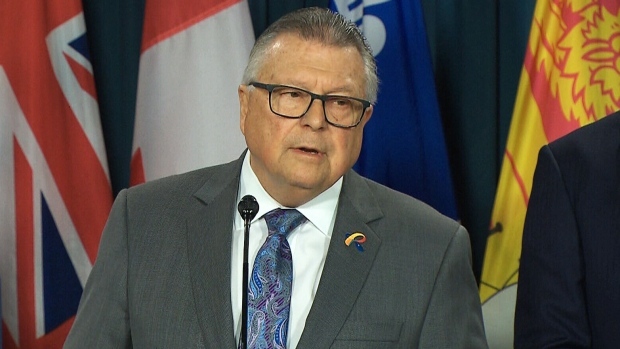 Goodale acknowledged the debate, saying that while it is obviously important for online banking and other commercial activities, "there are important questions about law enforcement and national security being able to properly conduct investigations."